The Toronto-based wealth management and securities company helped aspiring pot grower Enertopia raise over a million dollars but, upon being informed by TheStreet that it had been credited in a regulatory filing, Canaccord wasn't feeling the vibes. NEW YORK (TheStreet) -- Canaccord Genuity (CF.TO) is a broker dealer, but don't call them a toker dealer. The Toronto-based wealth management and securities company helped aspiring pot grower Enertopia (ENRT raise $1,293,800 million in a private placement transaction, but, upon being informed by TheStreet that it had been credited in a press release accompanying a regulatory filing, Canaccord wasn't feeling the vibes. "To confirm my voice-mail message to you, you have used the Canaccord Genuity name in the attached media release WITHOUT the approval of our Firm. Scott Davidson, Canaccord's Global Head of Corporate Development and Strategy, confirmed the email, and characterized the situation as a "misunderstanding." "We have a process that we use," he said, "it's more of a procedural issue than anything else." He said Canaccord wasn't an underwriter for Enertopia and didn't act as its adviser. Rather than putting the firm's official stamp on the transaction as it would if were representing Entertopia, one of Canaccord's wealth managers reached out to one or more of his own clients with the opportunity to invest in the company, Davidson said. Those clients are considered accredited investors under Canadian securities laws because they meet certain minimum asset requirements, so the rules for selling securities to them aren't as strict as they are for most retail investors. In other words, the investors who helped finance Enertopia were not deemed to be relying on Canaccord's advice the way a small investor would. 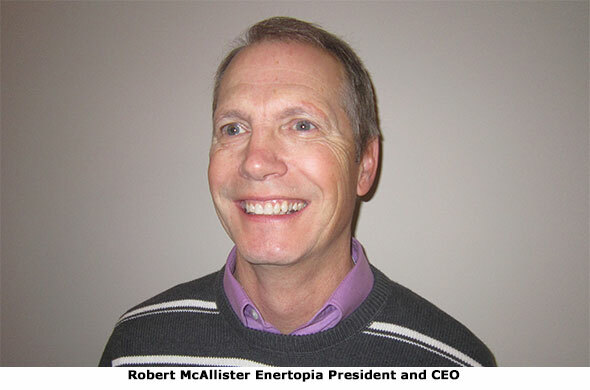 Enertopia's McAllister said he would comply with the request, though he was initially puzzled as he believed Enertopia was required by securities laws to disclose the identity of any parties to which it pays fees for helping it raise capital. For arranging the transaction, Canaccord split about $100,000 in finders' fees, 8,000 shares, and nearly one million broker warrants with two other parties that helped facilitate the private placement. Davidson said Canaccord doesn't have a "fully-formed view" on the extent to which it wants to advise companies tied to the marijuana industry. It has underwritten transactions and provides research coverage for GW Pharmaceuticals (GWPH, a UK-based company that develops marijuana-related drugs. Enertopia is similar to that of many publicly listed marijuana-related companies that have seen their shares soar in recent months. It announced plans to enter the marijuana business last year, shifting focus away from its previous business (clean energy, in Enertopia's case) which wasn't making a profit. It still has yet to earn a profit in marijuana and has issued millions of new shares to acquire marijuana-related businesses, including a pot-growing facility and an e-cigarette company. Since announcing its marijuana focus in November, Enertopia's U.S. shares, which trade over the counter, have shot up to 32 cents from 2 cents despite the substantial share dilution. Enertopia is listed in Canada on the Canadian Securities Exchange under the ticker TOP. The CSE has 207 listed companies in all, including one other that is in a pot-related business: Abattis Bioceuticals (ATTBF. Whether celebrating the roots of reggae or tracing music all the way back to the Hindu god Shiva, some of these cities might be worth a visit if you're looking to immerse yourself in musical culture.